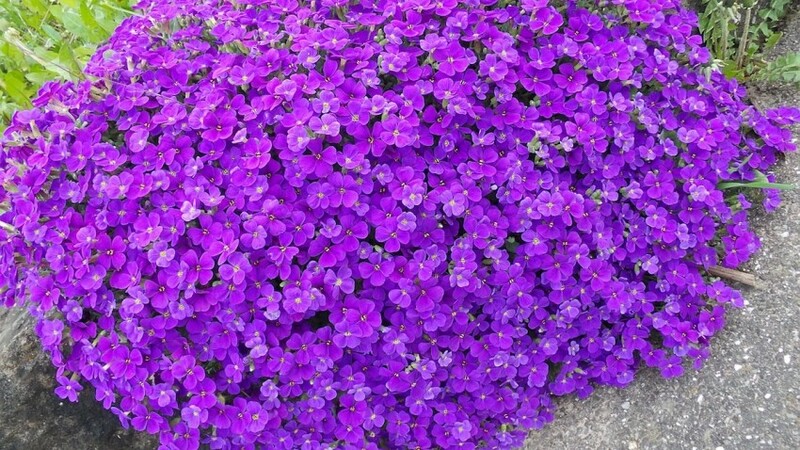 Our Garden Plant of the Month for March is actually a small group of plants descriptively known as the ‘wallflowers’ – a well known name with a completely non garden-related meaning! The term ‘wallflower’ is often used to describe an introverted person that likes a party but prefers to blend in rather than be the centre of attention. However, this is most certainly not the case when we are looking at the garden plants of the same name. 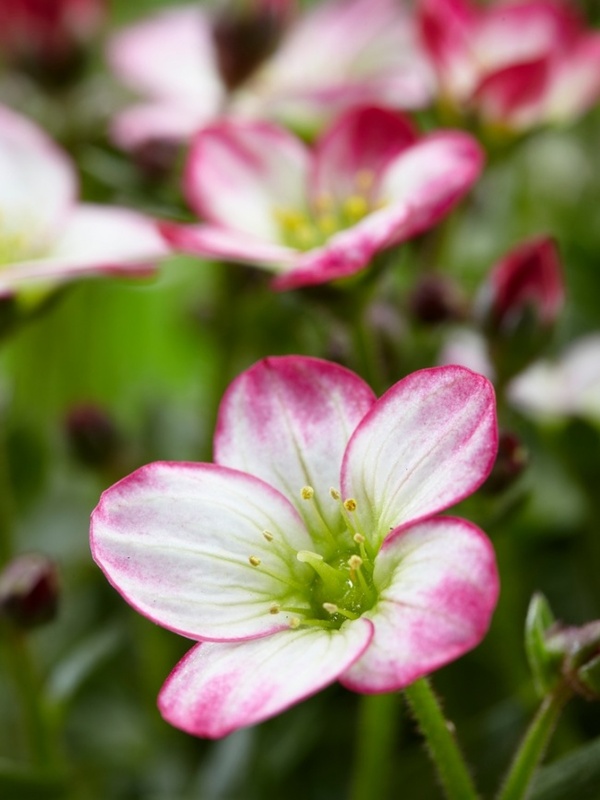 Our March plant choices, Aubrieta and Saxifraga like to put themselves very much in the spotlight. These early flowering garden plants provide welcome colour in the March garden. 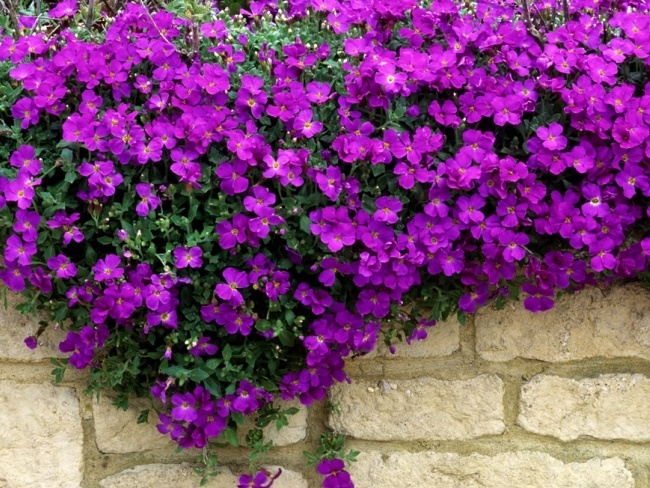 Their compact and hanging shape make them ideal for planting along walls or raised borders.